California Owners and Brokers have Duties To Potential Buyers; There may be liability for failure to warn of dangerous conditions. It is well established that California real property owners have duties toward guests and people they invite to the property to let them know about concealed dangerous conditions. Even a foreclosing lender who takes possession of a house has a duty to disclose what they should know about, and the agent and owner are each deemed to know everything that the other knows. And, the owner’s broker has an equal duty of disclosure. Sacramento and El Dorado real estate attorneys, when asked what needs to be disclosed, usually say everything- if it was material enough for you to ask me, it was important to disclose. In a recent decision a lender who took the property after foreclosure, and their broker, were surprised to learn that, because they might have known about a possible danger, they might end up liable for a potential buyer’s injury. In Pindra Hall v. Aurora Loan Services LLC, Hall was a real estate agent showing a home for sale in Lafayette to a client. The house was owned by Aurora Loan Services, who took it back in a foreclosure. The property has a finished attic, which was accessed by pull-down stairway ladder. It was hinged; when it was raised, it folded, and went up into the attic opening as the opening was closed. Aurora, the owner after foreclosure, had the house inspected by a contractor. The contractor provided a report listing more than 50 items under the heading “Health and Safety Required Repairs-Group 1.” Buried in that list was “Stair-Remove and replace attic stair.” The report was delivered to Aurora, and the listing agent read it. The report was left on the kitchen counter for visiting agents and potential buyers to review. Of course, Hall was reluctant to climb the stairs. Her clients climbed them to the attic; Hall followed, a hinge broke, the stairs failed, and she broke her leg. The opinion doesn’t say how the clients, now stranded in the attic with the agent writhing in pain on the floor below, got out of the attic. The lawsuit followed, and the defendants filed a motion for summary judgment. This motion argued that they had no notice of the defect in the ladder, so they were entitled to dismissal of the action as a matter of law. The court, citing Civil Code section 1714, noted that the policy in California is that everyone is responsible for an injury caused to another by his want of ordinary care or skill in the management of his property. Property owners are required to maintain their property in reasonably safe condition. Regarding visitors to the property, the scope of their duty, the owner’s actual or constructive knowledge of the dangerous condition is a key to establishing liability. They must have this knowledge or, have been able by the exercise of ordinary care to discover the condition. Information about a property known by the broker is imputed to the owner, and vice versa. Each has notice of what the other has notice of, and ought to communicate to the other. Civil Code section 2332. Negligence of the broker is negligence of the owner. Section 2338. When showing a house, the broker has a duty of care to warn the guest of a concealed danger on the premises of which they were aware of and which injury might be reasonably foreseen. We know that the owner and broker received the report, and that the broker read it. It did not specify that the stairs were dangerous, but the stairs were listed under the heading “Health and Safety Required Repairs-Group 1.” . 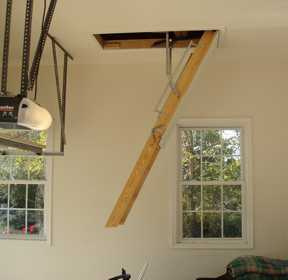 The contractor, in his deposition, did not remember any safety concerns with the ladder, nor that it appeared dangerous. If there had been problems other than appearance, he would have noted it in his report. He thought these stairs were “crummy” products and looked bad. However, the court found that there was still a possibility that a jury could still find that a reasonable person who received the report might have believed that the stairway ladder needed to be replaced because it was in disrepair. 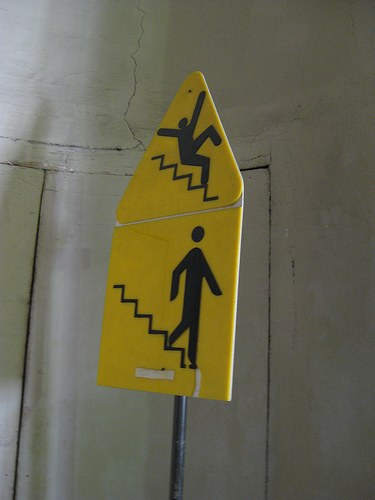 The issue was listed in the report under safety items, and the contractor did not really remember much about the stairs. It found that this was a triable issue of fact as to whether or not the defendants knew or should have known that the stairway ladder was a concealed danger.